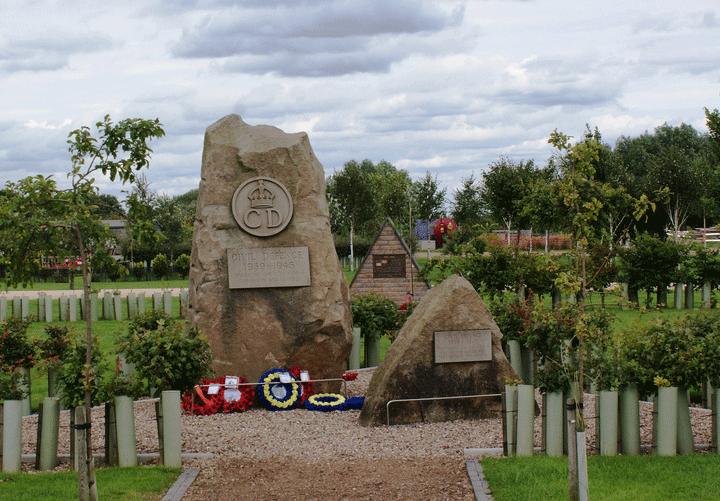 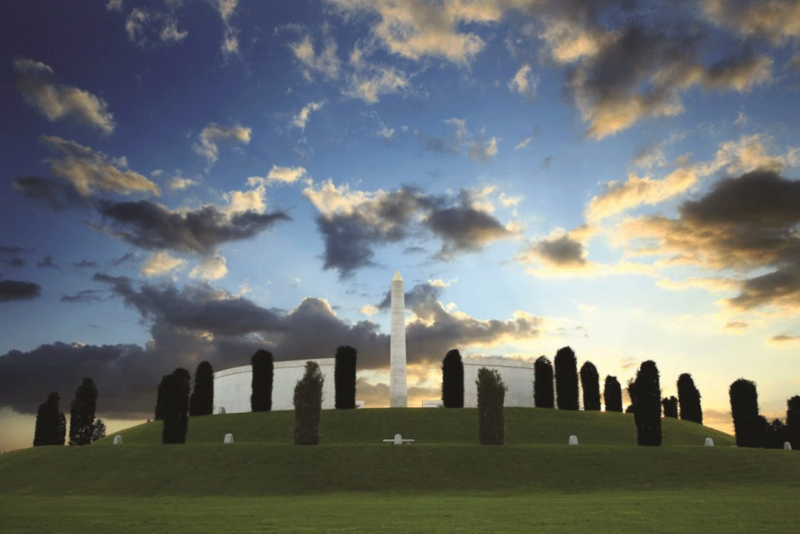 The Civil Defence Memorial Grove is situated at the National Memorial Arboretum, Alrewas, Staffordshire and was the first national memorial to record the work and sacrifice of World War Two Civil Defenders. 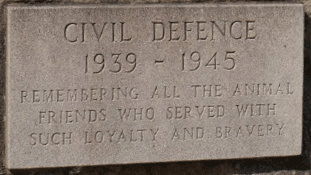 Also included is the service of members of the Civil Defence Corps, Auxiliary Fire Service and others during the Cold War, plus the animals who served alongside them during both periods. 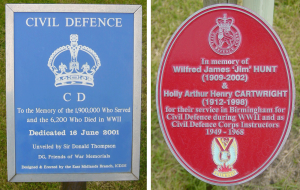 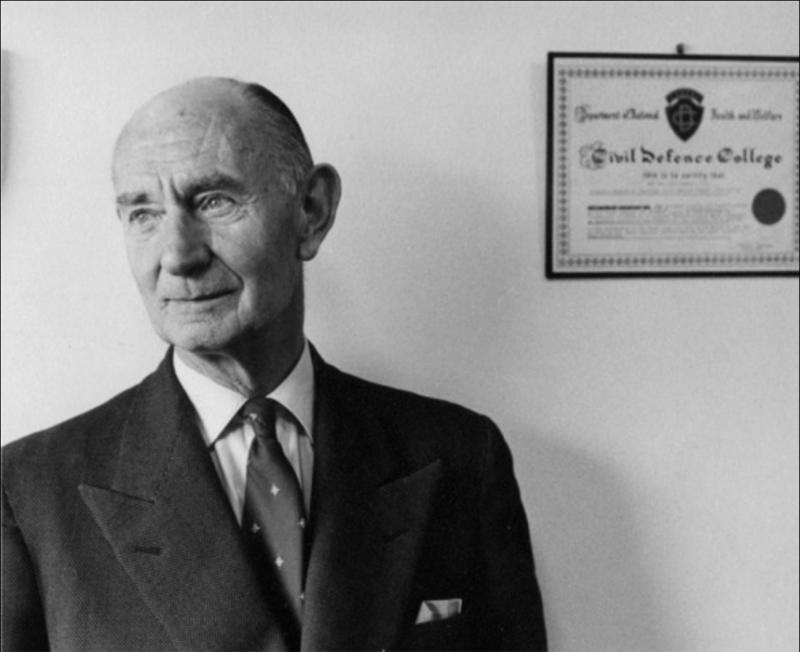 The Civil Defence Memorials for those who served 1939-1945. 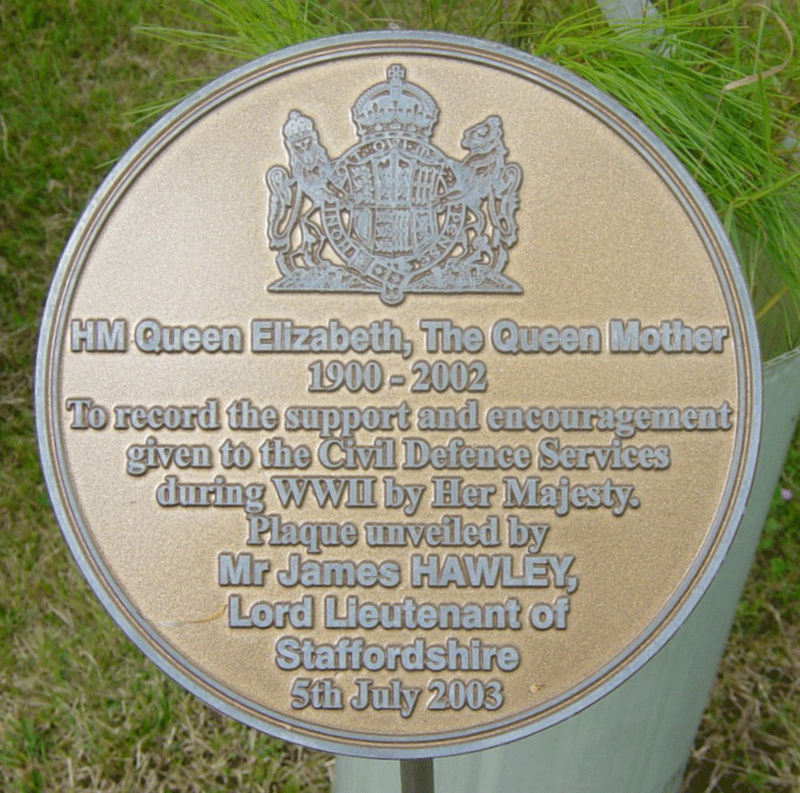 The initiative for this Memorial came from the East Midlands Branch of the Institute of Civil Defence & Disaster Studies, led by Patrick Stanton, Chairman and a small dedicated team. 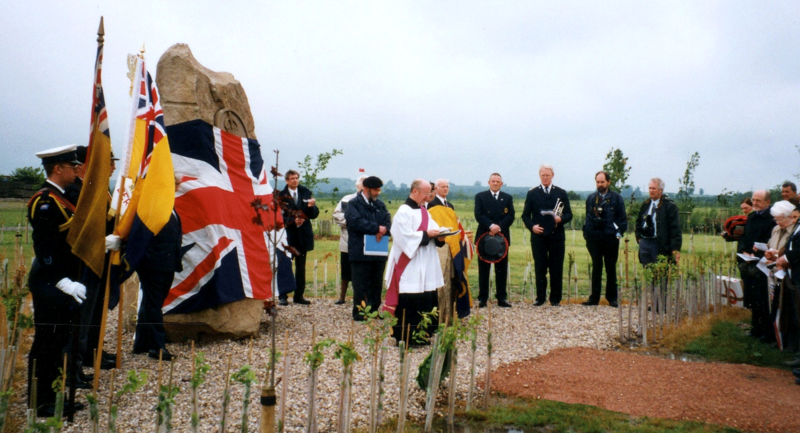 The Memorial stone is a 12-ton piece of Derbyshire gritstone. 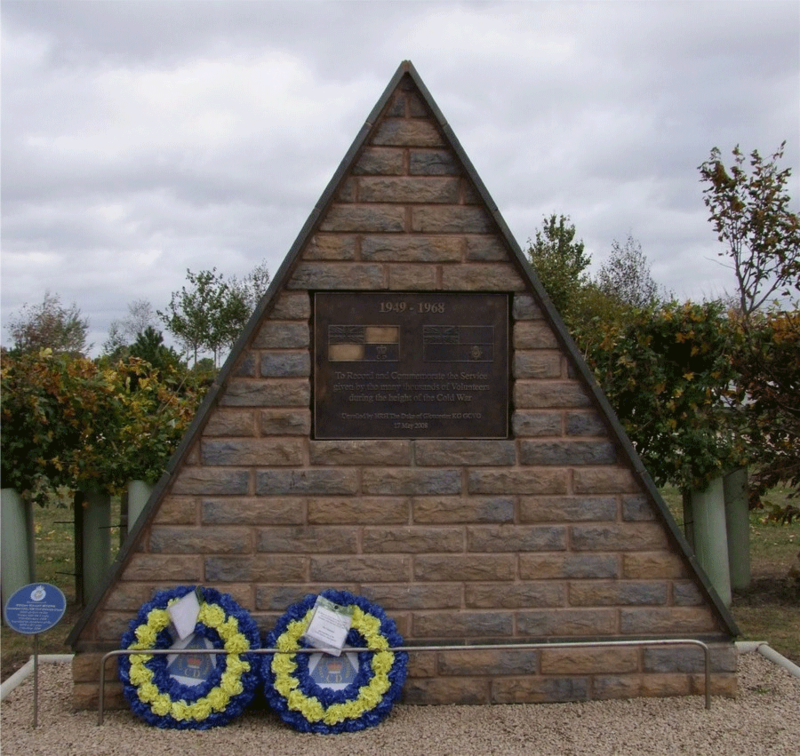 The ‘dog’ stone adjacent to it weighs 2 tons. 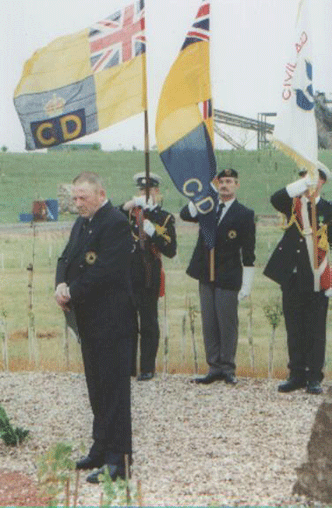 The overall design reflects the International Civil Defence badge surrounded by a circle of Red Mallus with shrubs in the corners in the CD colours of Blue and Gold. 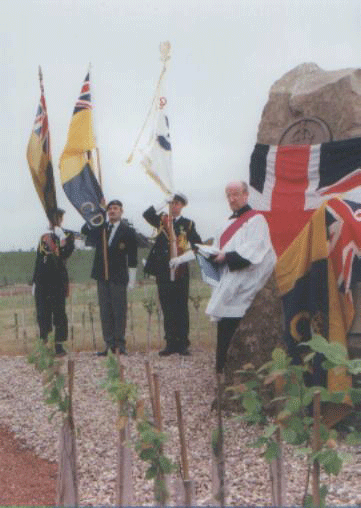 The Dedication Ceremony, 16th June 2001. 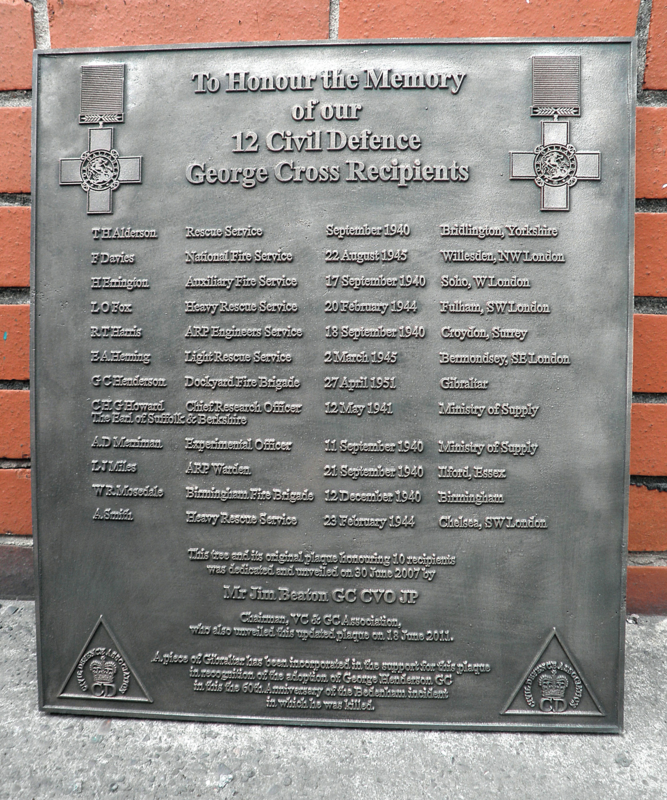 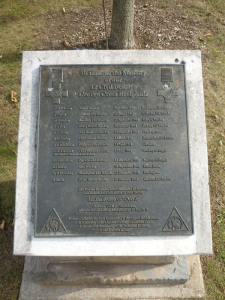 The Memorial Plaque to commemorate the George Cross recipients. 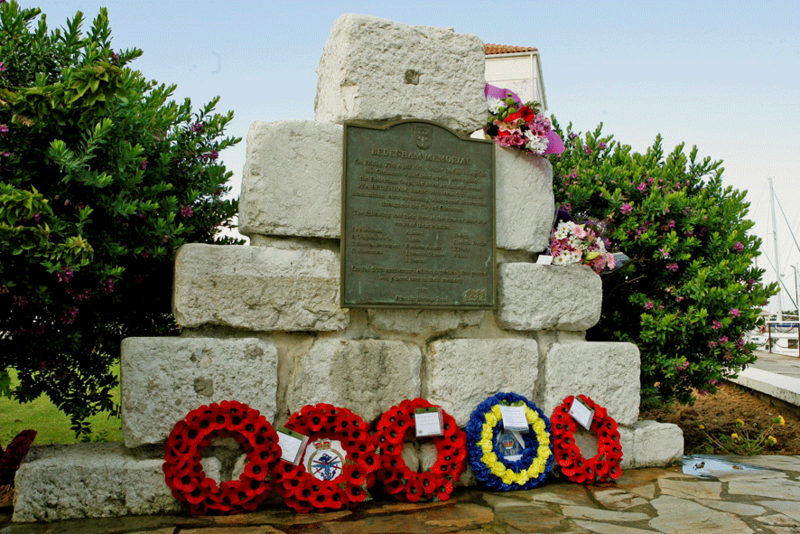 The Bedenham memorial remembers the fateful explosion of the Royal Fleet Auxiliary ship, Bedenham, that arrived in Gibraltar carrying armaments on 24 April 1951. 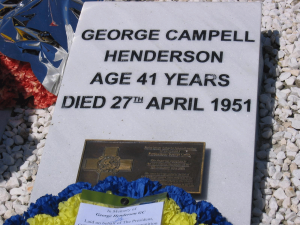 The explosion on 27th April killed 13 people, including Sub-Officer George C Henderson, whose courage on the day saw him being awarded a posthumous George Cross. 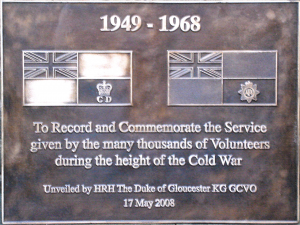 The Civil Defence Cold War Memorial.